Thanks to John the Geek who spend the time to fully probe and decode the protocol the TX20 uses, Details of the communication protocol the sensor uses can be found on Johns web site. VCC is connected to 3.3V and GND to Ground. The main function calls readTX20 until it gets a good reading, can be straight away but sometimes the checksum failed so this was the best way to always get a good reading. To use different GPIO pins just edit the declarations in the TX20.h file to what ever pins you are using. 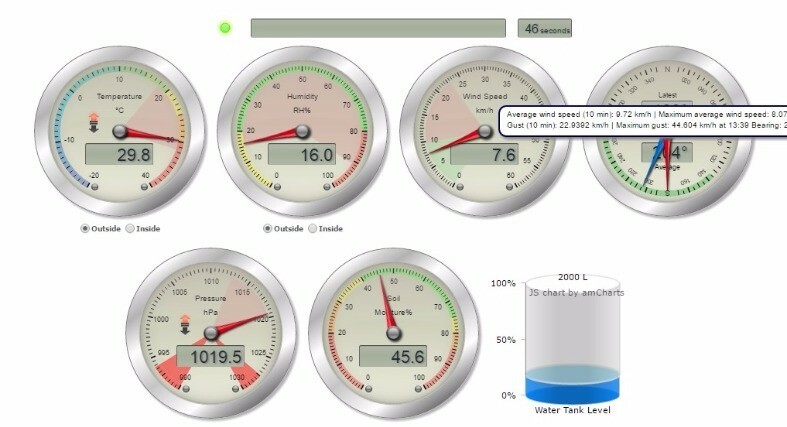 The data from the sensor is stored into a mysql database, this is then used to provide a feed to live gauges on a web page and eventually graphs of wind history.